I am not sure if you have been introduced to the brand Ambar cosmetics. 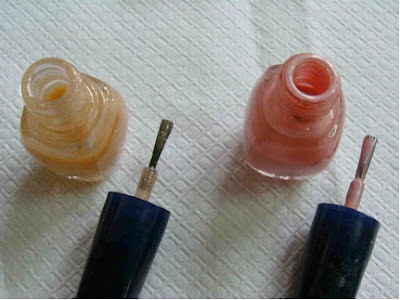 I remember Ambar from the time I was a little girl for its nail polishes. An Indian brand with its origin in Mumbai, has a very vast collection of shades. Ambar has mini version of the nail polish bottles. For a person like me who gets bored of a color very soon, these mini bottles are very handy. Also, these mini nail polishes are damn cheap, Rs.15 per bottle. 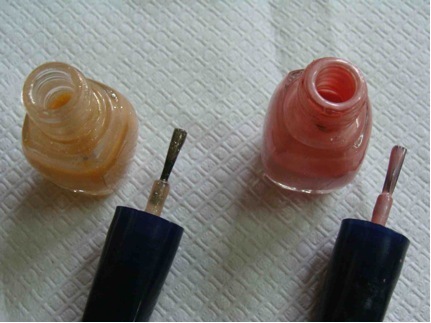 The glass bottle has a short brush applicator that helps in applying the polish easily. However, there have been times when I have felt that the brush streaks. The quality of the polish is also pretty good. It stays for a good 5 days on my nails. One thing I noticed is, there is no much information about the product provided on the bottle. And the shades have no names. They are only numbered. Though not a must have product, it is a must try product at least once. 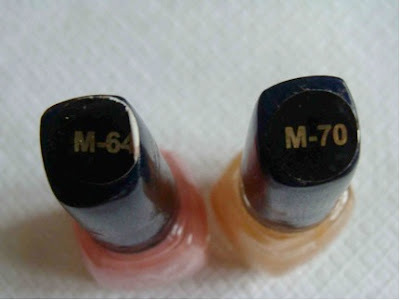 I bought shades in M-64 and M-70. M-64: This is a pretty shade in pink. The pink is a very eye-catching color with no shimmers. It gives a little glossy finish. M-70: This is a shade in peach. 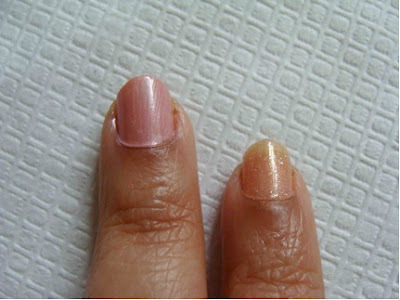 The polish has shimmers in it and is more of a transparent color. 2 coat of the polish does not give a full color on the nails. - Good brush and polish quality. - Some shades have shimmers. - Shades have no name. Only numbers. - No much details of the product is provided. Will I repurchase Ambar Glamorous Nail Polish? Yes. I want some more shades in these tiny bottles.